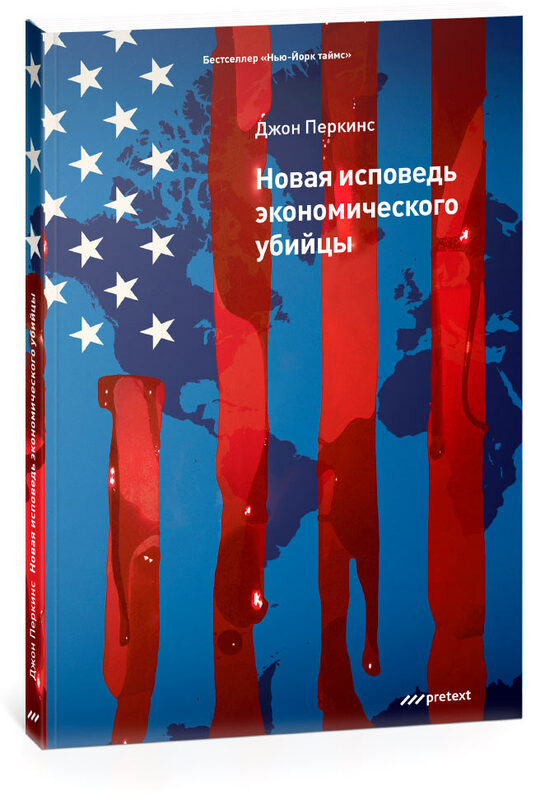 to design a cover for a book about global economic conspiracies. The edition continues Confessions of an Economic Hit Man, exposing insidious and destructive actions of paid professionals tasked with luring trillions of dollars out of countries around the world, which later end up in the vaults of the largest corporations and pockets of the few richest families in control of the world’s natural resources. Based on the author’s personal experience as an economic hit man. In this latest edition, Perkins provides revealing new details about how he and others did their work. But more importantly, in an explosive new section he describes how the EHM tools are being used around the world more widely than ever—even in the US itself. The book is supplemented by documentary evidence of economic hit men activity in the period of 2004–2015 and a controversial section on methods which are used today much more actively than ever before, even in America. The material in the new section ranges across the planet, including the Seychelles, Honduras, Ecuador, Libya, Turkey, Western Europe, Vietnam and China.